Pilates and Aqua exercise are two of the fastest growing exercise programs in the world today. They offer programs to suit the exercise needs for people of all ages and all levels of fitness. Pilates performed in the water engages the upper and lower extremities through optimal ranges of motion while minimizing stress on the joints, resulting in a unique combination of exercise and physiotherapy. In this course the goal is to develop correct breathing technique, body awareness, body alignment and body placement throughout the execution of the exercises. The results are an improved core strength, control, stability and flexibility. All these benefits are crucial in order to transition to the next level of aqua Pilates. You do not have to be a Pilates instructor to use these great exercises in group fitness and personal training. Understand the concepts and benefits for Aqua Pilates. 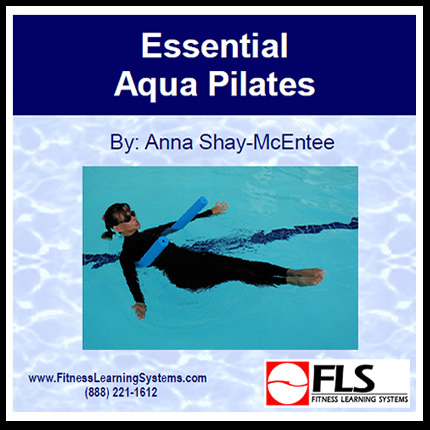 Identify special considerations for Aqua Pilates. Discover general recommendations for teaching Aqua Pilates. Learn, view, and practice Aqua Pilates Warm-up exercises. Learn, view, and practice Aqua Pilates Core Exercises. Learn, view, and practice Aqua Pilates Cool-down exercises.